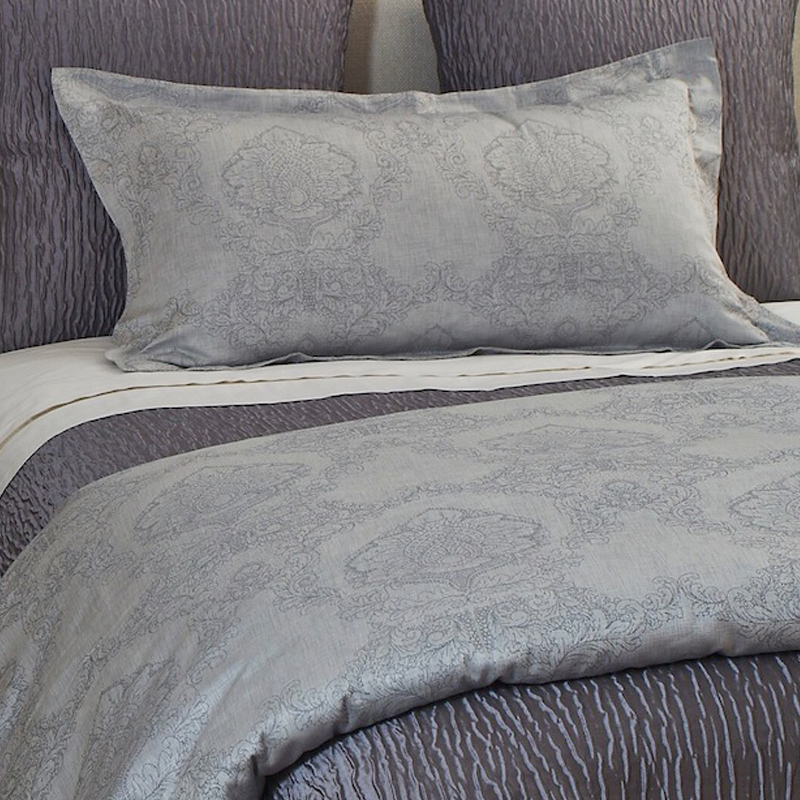 The Elegance Duvet Set is a refined cotton jacquard paisley featuring a blend of smoky blues and greys and a very soft hand feel. 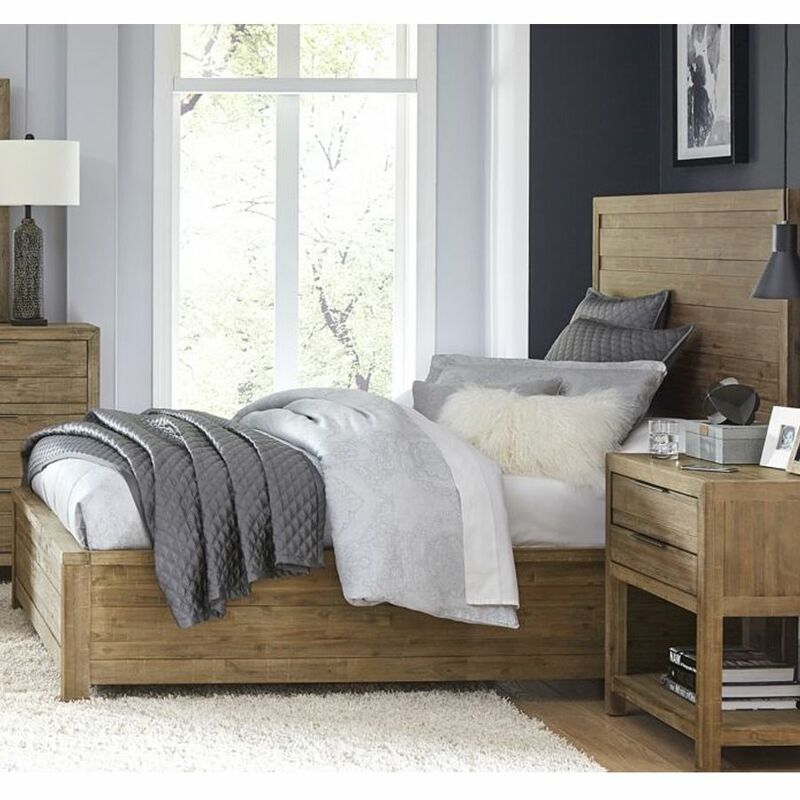 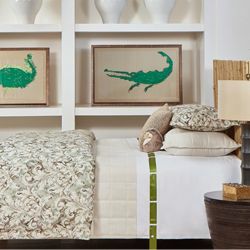 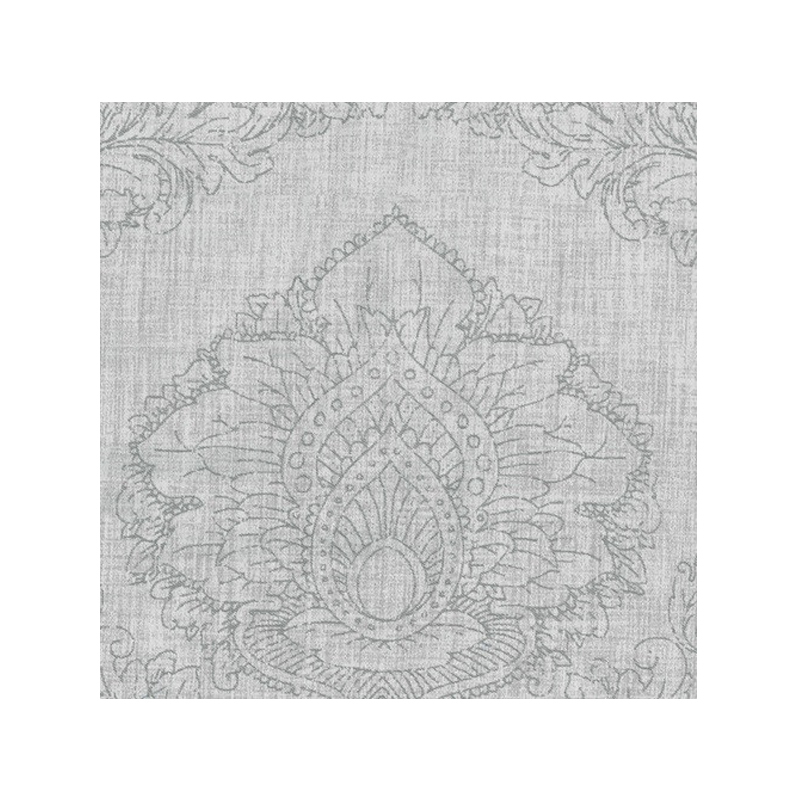 It is made of 100% cotton and layers perfectly with other bedding accents to create a unique and luxurious collection. 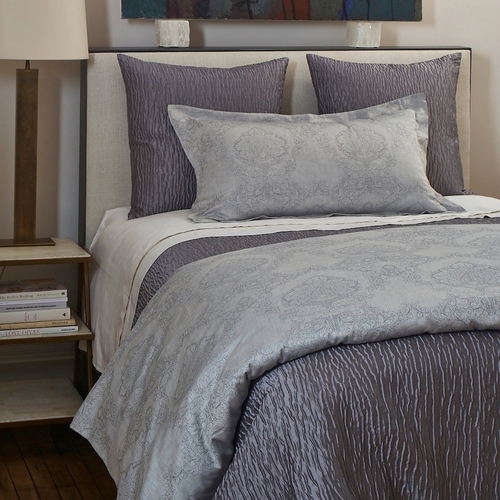 The photo above shows the Elegance Duvet Set in Smoke paired with the Cloud Duvet Set in Grey. 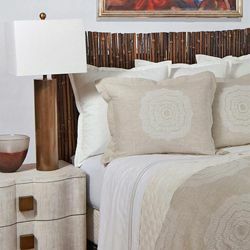 The Elegance Duvet Set is available as a 3 piece King or Queen size set.